For drivers who are on the search for vehicles that deliver the functionality and versatility of a crossover and the determined, adrenaline-inducing spirit of a sports car, a hatchback isn’t generally on the top of everyone’s collective minds. However, through the years there has been one model that has been able to stop these misconceptions and turn the concept of a “hot hatch” from fantasy to reality. Starting from relatively humble beginnings, the Volkswagen Golf has grown to become a major force on the automotive market, coming standard for 2017 with a 170-horsepower engine and up to 52.7 cubic feet of cargo volume. Since it was first released in 1974, the Golf hatchback has set standards for efficiency, technological advancement and safety that few in the industry can match, let alone surpass. The Golf is able to achieve up to 36 highway miles per gallon, offer an extensive list of technology and connectivity features, and is able to keep you safe and secure behind the wheel no matter what conditions are thrown your way. 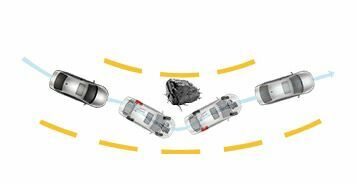 In fact, the Insurance Institute for Highway Safety has designated the 2017 Golf as a Top Safety Pick. Still continuing to defy trends and conventional thinking over 40 years later, the Volkswagen Golf line proves that fun and functionality can go hand in hand. 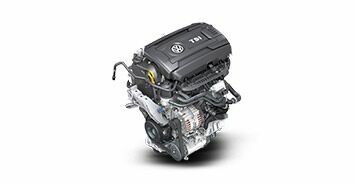 Under the hood, the 2017 Golf features a 1.8-liter turbocharged Inline 4 engine, waiting for you to unleash all 170 horsepower and 184 lb-ft of torque that it brings to the table. This power is harnessed through a Tiptronic® transmission with Sport mode, putting you in full control of the road ahead. With the 2017 Volkswagen Golf you are able to stay more connected than ever before to the world around you. 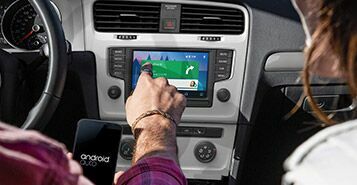 VW Car-Net App-Connect is able to integrate your phone for hands-free media streaming and communication, and Push-Button Start gets the Golf up, running and out on the road quicker than ever. Starting with its high-strength steel alloy cage, the 2017 Golf has your best interests in mind as soon as you step behind the wheel. The Golf features an available Rearview Camera System as well as Blind Spot Monitoring, Lane Assist and Park Pilot, among many other innovations meant to keep you safe.